The Conference Elite, led by highsec's favorite fleet commander, Agent loyalanon! As of 2014, The Conference Elite had about 80 pilots. It out-killed every corporation in the game, including corps with thousands of players. Thus, the objective truth--as revealed to us through API-verified, empirical evidence--is that the CODE always wins. The Anti-Gankers, dedicated to preventing the New Order from getting any kills, were not mentioned in Gevlon's report. However, surely the statistics confirm that they are non-stop failing daily. Herring's jump freighter dropped by New Order territory for a little pop-in. He probably breathed a sigh of relief once he arrived in highsec, as he assumed it's 100% safe. If so, Herring made a 12.3 billion isk mistake. Only two Agents, Ben Li and Cytheera, were needed to perform the task of bringing down the jump freighter. Hyperdunking lives! Salah ad-Din al-Jawahiri > Not semi rich anymore, it seems. Salah ad-Din al-Jawahiri > At least, below-than-average rich now. FloppieTheBanjoClown > Just saw the Mack kill. That's impressive. FloppieTheBanjoClown > Some of my corpmates have recently branched out into ganking. FloppieTheBanjoClown > They'll appreciate the kill when I show it to them tonight. 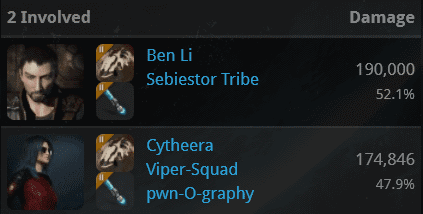 If Semi Rich's introduction into the world of PvP didn't help retain him, at least he provided a few of Floppie's corpmates a reason to continue playing. Just when you thought things couldn't get worse, Moina Althea undocked in her cargo-fit and questionably rigged Hulk. Agents melik shah, Captain BiGGiE, and Limon rode to the rescue, costing Moina 1.3 billion isk due to the Hulk's exotic cargo. Perhaps, dear reader, you assume that Moina was carrying a PLEX. No, she was much too smart for that. She "equipped" her Michi's Excavation Augmentor by putting it into her cargo bay. Just as well. It's a Code violation to carry those things around highsec, whether in your ship or your pod. The fish are getting fatter these days. totalEs missus heard about terrible things happening to freighters in The Citadel region, so she hauled her cargo in an Orca instead. Weighing in at a hefty 8 billion isk, her Orca was among the most bloated we've witnessed. A gank fleet was quickly assembled, determined not to let totalEs missus' ship be the one that got away. Agents Gorila Vengaza, Cytheera, MaDKnT, Zula Terra, Pod-Goo RepoWoman, loyalanon, holdmybeer, BAE B BLUE, Yabba Dabba Do, Aaaarrgg, AeleDeux, Samuel the Terrible, BAE B PEW, and Felis Belli hooked the prize and all the Gallants rejoiced. 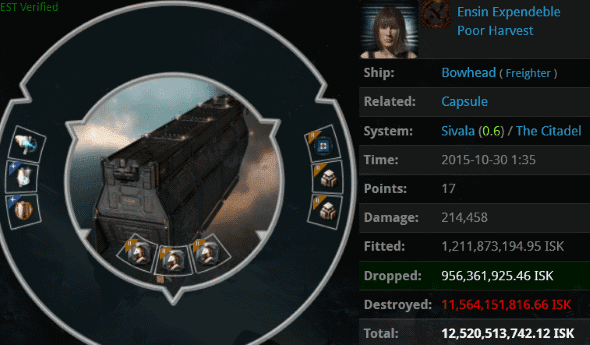 Ensin Expendeble's 12.5 billion isk Bowhead may be further proof of haulers shifting their unlicensed cargo out of freighters and into other vehicles of bot-aspirancy. No matter. The New Order's intelligence is unmatched in highsec, and we'll track down the contraband no matter how it's smuggled. A sizable fleet consisting of Agents Kahvegi, PV Rock, Ben Li, Jason Kusion, Rick Therapist, Cytheera, Aaaarrgg, Krominal, AeleDeux, Nitetime Video, Yabba Dabba Do, loyalanon, Brutal Anna, Pod-Goo RepoWoman, Sophia Soprano, Zula Terra, Gorila Vengaza, Knackered Old Goat, Carebears' Nightmare, Keraina Talie-Kuo, Spine Ripper, Jayson Kusion, Wreck Connoisseur, Felis Belli, and Toki Aivo were more than enough to bring the Bowhead to heel. 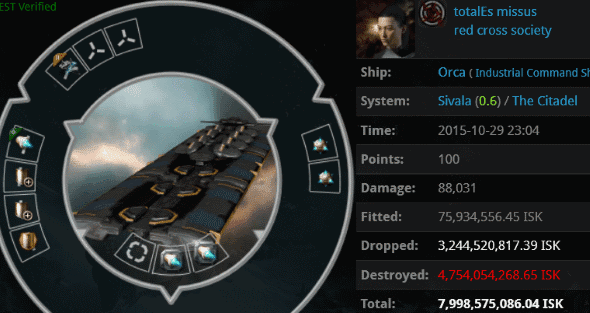 EVE is a special game: Corinth Jackuard was able to lose 4 billion isk in a single instant when his decadent pod was incinerated by Agent Jason Kusion. 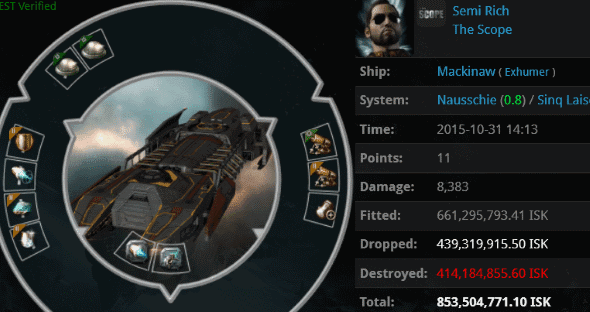 That's a hefty loss for a single player, considering EVE news publications post breathless articles about fleet battles in which several times as much damage is inflicted--by hundreds of pilots. Unfortunately for Corinth, that wasn't all he lost. 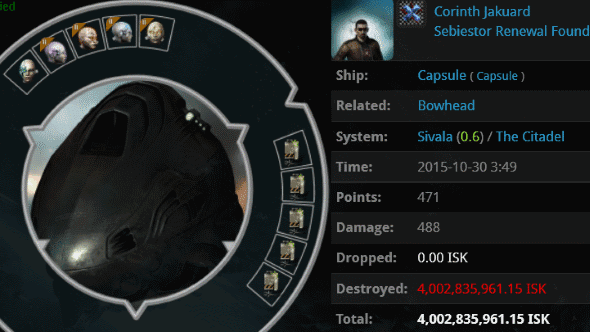 The pod was only revealed once his 11.7 billion isk Bowhead was destroyed. With such losses, one might be inclined to compare Corinth to arch-carebear X-FEANOR. Not so fast! X-FEANOR continues to be EVE's most reliable isk piñata. 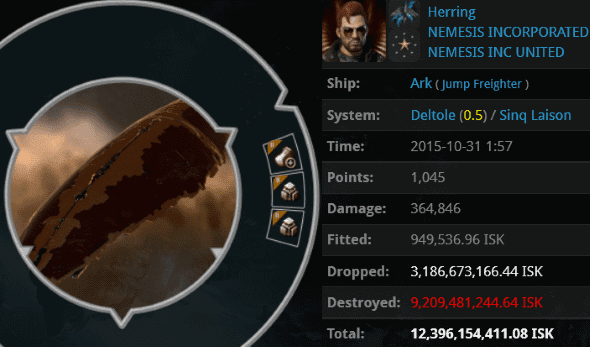 He suffered yet another 10.1 billion isk freighter loss this week. And who knows what he has planned for November? Shouldn't X-FEANOR be on the contributors' list at this point? I mean, how much has he "donated" by now? Water now boils at 500°C"
God isn't nearly as incompetent as CCP. Another day of AG hanging their heads in shame and silence. They know that they failed. They know that these non-compliant bears deserved what was coming to them. Thats all you ChODE. carebears did in one hole week? Seems kind of boring. i know u r but what am i? Anonbear 7:42, Calm down and thank you for observing the Sabbath and holding your tears until today. Loss is insignificant to mee! It is quality carebears like X-FEANOR that ensure that the New Order and CODE. will be around for years to come. "The New Order is elite, does elite PvP, and is filled with elite PvP'ers." Thank you for the laugh, I needed it. CODE has a green killboard, true. How elite can an organization be if literally anyone can do what it does? How elite can a pilot be if their targets are generally alone, unarmed, untanked, and the opposing pilot is not at the controls? How elite is your PvP when it's no more difficult or challenging then shooting rats in a belt? Of course you "win", because there's no way you can fail. You're beating up kids for their Halloween candy. Stop pretending you scored big during a candy sale at the grocery store. Miner, calm down and thank you for holding your tears until after the Sabbath. I know the truth hurts Nitetime. Come to me, give me your pain. The New Order is the winningest EVE Organization of All Time. 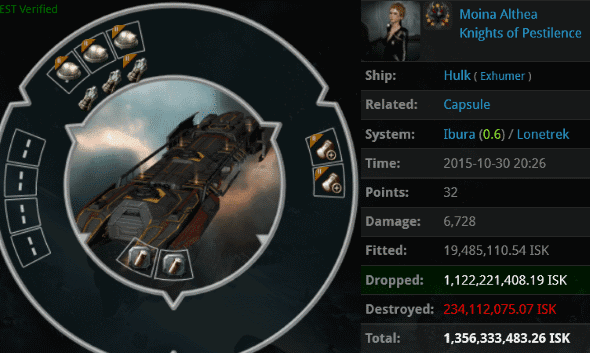 Our killboards say so, carebears say so, CONCORD says so, CCP says so. You seem to be the only 'authority' that seems to think differently, because you think EVE Online is a game where 'integrity' and 'honour' should be the most important parts. We get rich because we punish people who are too stupid to have nice things. This is the service we provide, which has, in turn, provided us with virtually unlimited wealth. What do you find wrong with the New Order flawlessly winning all of the time? And would you find that you liked the New Order more if we intentionally lost some of the time? I highly doubt it. Hauled some juicy loot 15 jumps to Jita during busy login period recently. Didn't see any code carebears anywhere until docking where I saw a few mongtards swapping spit looking bored unable to generate any content for themselves. Where is this new order? Code carebears are irrelevant.